We met with Farid to talk about contemporary Turkmen literature. — Long ago, I came up with the idea of publishing a collection by modern Turkmen writers. It was Niyazov who established the tradition that the president is the only writer and, for twenty years, other authors have been prevented from reaching their audience unless they write about the president… For over ten years I have been running “The Chronicles of Turkmenistan” website and throughout those years I have been receiving various pieces, including fiction, in different forms: people submit their writings and memoirs about nature, love, history or traditions. They did not fall under our human rights theme, so I decided a collection of modern Turkmen literature needed to be issued. First I contacted those Turkmen writers who live outside the country to share my idea and they took my proposal seriously. The writer Ak Velsapar (he currently resides in Sweden and has many published books, translated into many languages) became the editor-in-chief of the collection. He also invited other participants, and even managed to engage some who are living in Turkmenistan. Needless to say, we said that they could write under “pennames”. However, those who live in Turkmenistan decided to get their writings published under their real names. — On the contrary, I hope that this will serve as protection for them and a sort of indulgence. In any case, they are adults who made their own decisions. I did not force anybody to get involved. When our website first mentioned the project initiation, several state-run websites expressed criticism. Some people might think that all material posted by “The Chronicles” have oppositional or anti-government content. I believe their worries are groundless. “By the ravine…” is an absolutely neutral collection. Only one story can perhaps be referred to as slightly oppositional, but it was written during the time of the former president. I would like the Turkmen authorities to understand that such books do not pose any threat, and would encourage them to publish modern Turkmen literature. A book fair was recently held in Ashgabat and 90% of the published books are authored by the president. Don’t we have other writers? What is so dangerous about love poems? They will do no harm. — There are only twelve authors and some of them have already passed away. Why are there so few writers? — Not all the writers we had invited agreed to work with us – some for security reasons, while others were critical of authors we had selected. It is most likely that some were not even aware that this book was being prepared. Now the information will be disseminated and they might take part in the publication of the second collection - hopefully this project will be continued. However, we are facing financial limitations. Private funds were used to get the collection published and we have printed only 100 copies so far. Hopefully the book will be sold in electronic copy, for instance, through Amazon, or will find its way to Turkmenistan via the Internet or USB sticks. — What is going on with the literary process in Turkmenistan? — There is a deficit of knowledge and culture within the country: novelists, artists and sculptors are constrained in their creative processes since they are allowed to create their works of art only under certain guidelines. — Does a writer need to obtain a government contract to have his piece of writing published? — Yes. There are two publishing houses in the country and both of them are government–owned. — What should be the topic of a book to qualify for a government contract? Should it be about the President? His parents? Or horses? — Oh no, horses are the President’s domain. He also writes about medicinal herbs and healthcare… One can suggest a collection of poems for the publishing house, although we already have a female poet laureate. The wording for the government order should be “extolling the epoch of power and happiness”. — OK, what if there is no government order? Somebody has produced a piece of writing and brought it to the publishing house? Will his work be rejected? — As a rule, yes, it will not be accepted. Then authors bring their writings to the newspaper’s editorial board trying to prove that this is a good piece of writing, which has absolutely no political implications. Only occasionally excerpts about nature in the home country and about love are published. Many write “for the drawer”. Novelists may read their writings to each other but there is no clandestine literature in Turkmenistan, which used to be a Soviet Union phenomenon. The control is all pervasive. There is a famous example when in 2004 the novelist Rakhim Esenov was arrested for bringing several copies of his own book published in Moscow into Turkmenistan. He was accused of smuggling and imprisoned, which served as a warning for others: if you step out of line, the same fate will await you. Little is known about Turkmen writers and this book will prove that Turkmen literature has not yet become extinct and that there are still talented writers who need help and support. 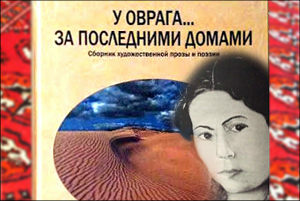 Apart from fiction, the book contains documents about the dreadful fate of the female poet Annasoltan Kekilova. She wrote poems about love, a woman’s fate, her home country—nothing seditious. In 1971, at the age of 29, she wrote an address to the XXIV session of the Communist Party of the Soviet Union, demanding that women of Turkmenistan be respected. The letter was forwarded from Moscow to Ashgabat with a request to “look into the matter”. Kekilova was dismissed from her job, harassed and her works were no longer published. Annasoltan Kekilova was familiar with Moscow human rights defenders, including academicians Sakharov and Bonner, and headed to Moscow asking for help. She even contacted the Embassy of the United Kingdom to grant her political asylum. The British did not respond. Annasoltan came back to Ashgabat and upon her return she was arrested. She was admitted into the Turkmen clinical psychiatric clinic where she died 12 years later after forcible medical treatment. She was only 41 but according to eyewitnesses she looked as if she was an elderly woman in her 70-s. Annasoltan tried to hand over her poems from the clinic where her mother and sister visited her. Manuscripts were sent to Moscow by her sister but the letters did not arrive and simply disappeared. Many works were burnt during a fire in Annasoltan’s house. After placing the poetess in a psychiatric clinic a wave of indignation rose up and writers and human rights defenders demanded that Annasolatan Kekilova be released. The Turkmen Soviet Socialist Republic had to respond. Apart from several poems written by Annasoltan, the book has two documents including a response by chairman of Turkmenistan’s Association of Writers T. Kurbanov, and a statement by psychiatrists submitted to the Netherlands’ Union of Writers. “You are…totally misled and misinformed about Kekilova’s real condition. She had been an aspiring poetess taking her first steps in literature and could have become a professional writer but her medical condition prevented her from producing more literary works. As is known, mankind has not yet eliminated some diseases, including mental disorders… We are surprised by your increased attention and interest in Annasoltan Kekilova’s personality. Apparently there are no mentally ill people in your country? In cases where there are such people, aren’t they treated in specially designated psychiatric clinics? … You should not worry about her; her friends and family visit her and she is being taken care of by the most humane people in the world – doctors”, T. Kurbanov’s letter reads in part. ‘The most humane people’ confirmed: “Annasoltan Kekilova has mental illness. None of us or our colleagues has any doubts or suspicions about Kekilova’s mental disorder. The fact that Kekilova is allegedly held in the phychiatric clinic for some ideals is an absurd myth, a distorted reality and an insult to us, the doctors”. 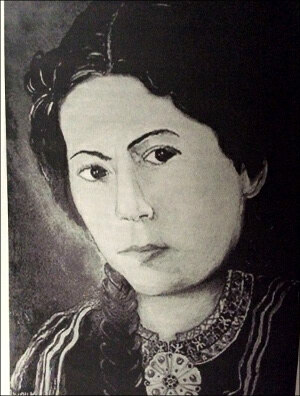 One of the organizers behind Annasoltan Kekilova’s persecution was Maya Mollaeva who at that time served as secretary of the Central Committee of the Communist Party of the Turkmen Soviet Socialist Republic. She loyally served the Communist leaders of Turkmenistan and then occupied leading positions under Niyazov’s presidency and now, according to Ak Velsapar, she is head of the commission responsible for arts and literature under the President of Turkmenistan. It is symbolic that for some time Mollaeva was responsible not only for culture but also for the historical memory of the state: she was head of the Chief Archives and Records Administration under the Cabinet of Ministers and in 2012 she was appointed chairperson of the newly established Archives under the President of Turkmenistan. 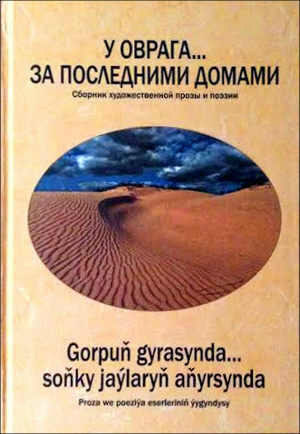 Apart from Annasoltan Kekilova, authors Ashirberdy Kurt, Paizy Orazov, Akmurat Shirov, Bapba Goklen, Ak Velsapar, Khudaiberdy Khally, Renat Ismailov, Farid Tukhbatullin, Akmurad Esen, Gafur Khodja and Ayub Gerkezi are also represented in the collection of writings.